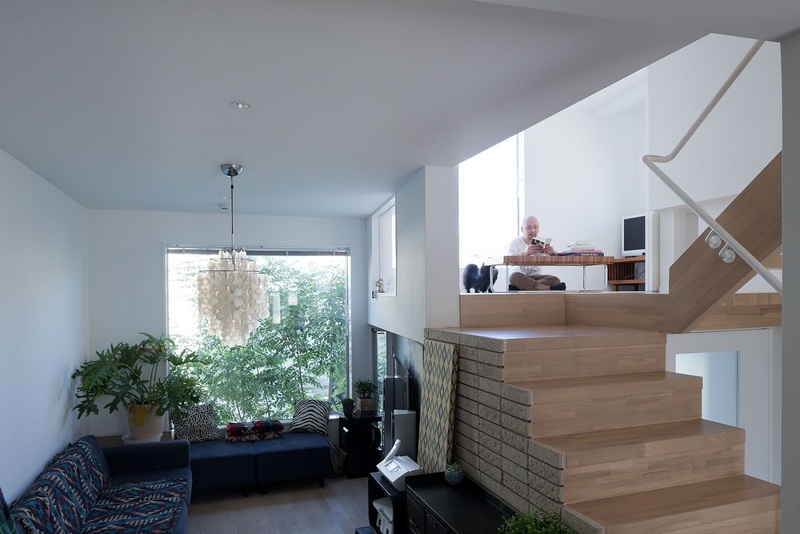 Stacked House is located in a midst of dense urban fabric of Tokyo. 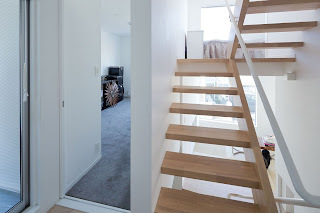 Since the client is a musician couple who wanted home office spaces in the house, we designed a house as a tightly stacked boxes, a vertical village, where the client live and work. 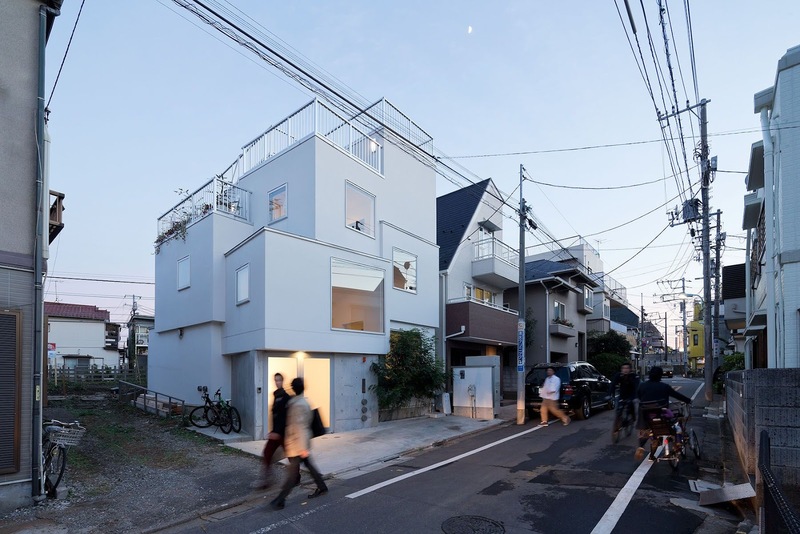 From the program, we determined standard rooms sizes for each function and stacked them to fit within Tokyo’s strict building envelope. All boxes are at different floor heights to avoid clear floor divisions and to emphasize each box. 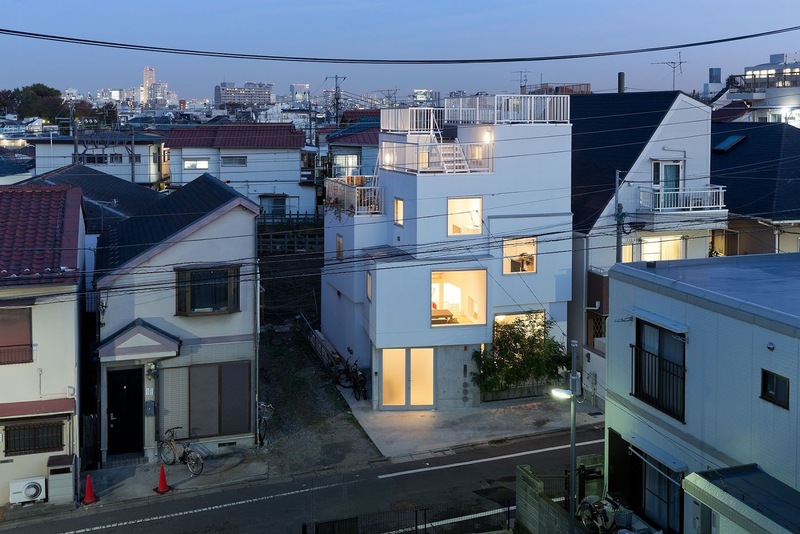 We also rotated each box at various angles so that the rooms are recognizable as individual boxes from the inside and create a sense of living in a village. Also, angles allowed gaps between boxes for stairs and balconies and box offsets for skylights and a cantilever for the entrance. 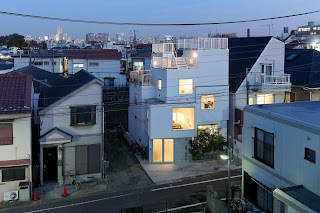 Flat roofs of each room became a series of roof terraces where there is a view of the downtown Tokyo and makes up for the lack of any yard spaces at the ground level. Since the client’s father is the builder for the house, we designed the house as a series of boxes so that he can build each room with a standard wood frame construction method. 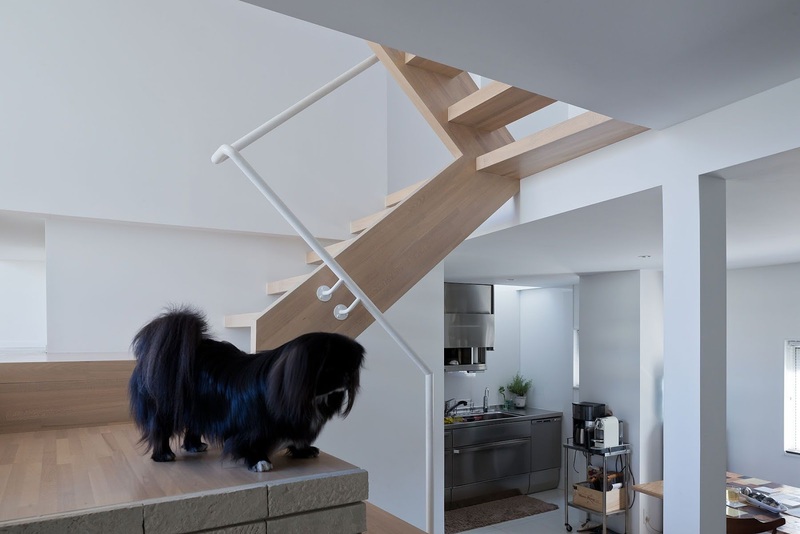 He will be able to make additional rooms to the house in the future without compromising the architectural integrity.